Sheldon Park Estates is an exquisite community of large custom home sites in Elk Grove. NOW releasing phase 2! Come choose your site in this beautiful new community with an estate country feel. Minimum building size 3,000 sq. ft. assures premier homes. Some lots already built, others in progress. Ready for your custom dream home. Secure your lot now to build your future custom home. Choose your own builder! 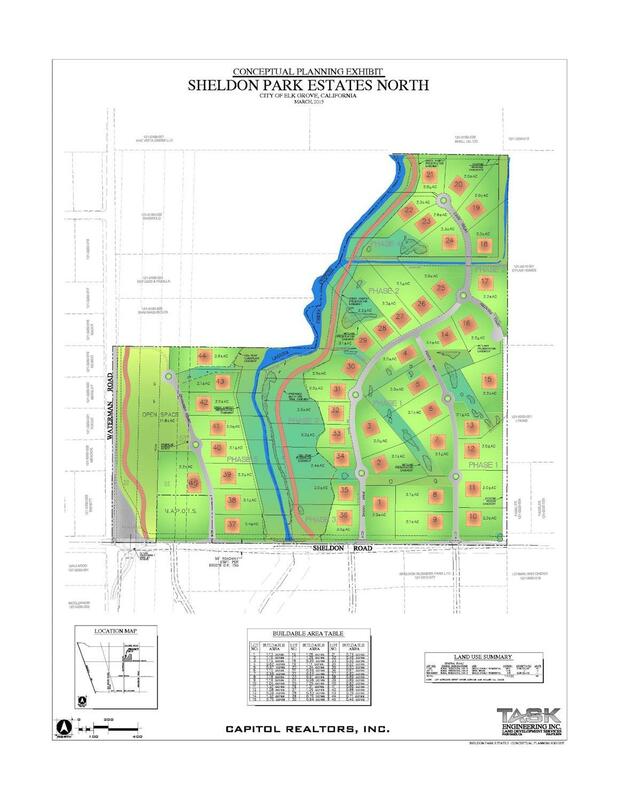 Currently there is no HOA fee until the subdivision is complete. Located in desirable Sheldon area of Elk Grove. Photos of homes are samples of some homes that were built out there in the subdivision (more photos to come) Buyer may use any builder they choose. This purchase is for bare land only. Multiple lots to choose from, secure yours today.